Don’t you wish you could get away from the hustle and bustle of city life and escape to a semi-tropical island where cool blue waters literally meet the skies? If you were granted your wish you would probably immediately hop on a plane, head off to Hawaii and text everyone with a message about where you went. Hawaii has several islands to boast of and among these are Maui, the second largest island, and Kauai, the oldest island, lying on the northeastern part of Hawaii. You would certainly welcome the change of scenery - a refreshing reprieve from pollution, noise and otherwise, and from the daily stresses of life. Maui is home to some of the world’s finest beaches including the world-famous Makena Beach, or the Big Beach, as some would refer to it. Makena stretches around 2/3 of a mile long and some 100 yards wide. The Pools of Oheo in Maui are also worth seeing, definitely a feast to eyes that long for something naturally beautiful. There are dozens of pools here with fresh water streaming from the Haleakala Volcano, considered by many as Maui’s biggest attraction. The volcano is the largest dormant volcano in the world, standing at 10,000 feet tall. Then of course, you shouldn't miss driving to the town everybody calls “Heavenly Hana”, or visit Lahaina, Maui’s largest town. It’s also identified as one of the best places to watch whales. There’s also plenty to see in Kauai, in spite of it being just a rather small island. On the north shore lies the Hanalei Valley Lookout, offering some of the most spectacular views of Kauai, the 52-foot Kilauea Lighthouse constructed in 1913, and Makana Peak which was featured in the movie South Pacific. On the West side lies the Waimea Canyon where you can also find Captain Cook Monument. On the south are found the National Tropical Botanical Garden and the Spouting Horn, known for its natural lava tube formations. 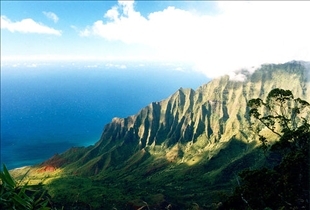 Kauai is considered to be a favorite destination for honeymooners. There are many things you can do in Maui, besides sight-seeing. You can begin each day enjoying the sunrise at the Haleakala Valley, bathing, snorkeling, or diving in the cool waters of Maui. You can also play golf, do your shopping, dine in pleasure, and many more. If you happen to be in Maui between December and May, you certainly should not miss going on a Humpback Whale Watch adventure. Meanwhile, horseback riding, fishing, windsurfing, scuba diving, snorkeling, camping, playing golf, and hiking are among the exciting activities you can enjoy in Hawaii’s oldest island, Kauai. Many talk of a canoe trip down a beautiful little river into lush green tropical edens. 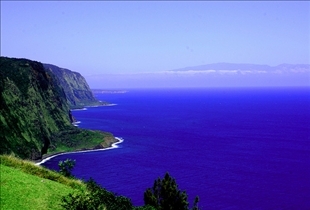 Maui enjoys mild climate all year. Come summertime, the average temperature is at 90 degrees Fahrenheit, but it drops to 75 degrees during the coldest months of December and January. Rain falls on the north and northeast side, but the south and southwest parts are usually dry. Kauai’s climate is temperate as well. There are high levels of rainfall every year which somehow explains its lush vegetation. The northern and eastern parts of Kauai are somewhat breezier, while the southern parts are sunnier. Temperatures range between 17.2 and 29.85 degrees Celsius. Hot spots – Maui has Makena Beach, Pools of Oheo, Haleakala Volcano, the largest dormant volcano in the world; Kauai boasts of the 52-foot Kilauea Lighthouse and the Makana Peak which was featured in the South Pacific movie. There’s also the Waimea Canyon where the Captain Cook Monument stands. Availability of activities to do – there are lots for both. One can go sightseeing, swimming, snorkeling, and whale-watching in Maui, while in Kauai, one can go horseback-riding, fishing, windsurfing, canoeing and hiking. Climate conditions – both experience temperate climate. Which island is best for honeymooners?